Thanks to an historic New York State commitment to clean water, hundreds of millions of dollars will flow to improve water quality and protect drinking water – starting now. The first rounds of funding available from the $2.5 billion Clean Water Infrastructure Act will soon hit the streets. More than $250 million in grants is now available to New York State communities to improve drinking water and wastewater infrastructure. This includes a new category of grants for intermunicipal projects that was approved as part of the Clean Water Infrastructure Act of 2017. There is $225 million available in Water Infrastructure Improvement Act grants (half available for drinking water, and half for wastewater). These grants can fund up to 25% of a wastewater project, up to $5 million; or up to 60% of a drinking water project, up to $3 million. These grants have typically been paired with low- and no-interest loans from the Clean Water State Revolving Fund. There is an additional $30 million available for Intermunicipal Grants, a new category of grant. These grants can cover up to 40% of wastewater project costs, up to $10 million. Municipalities can find details for applications at efc.ny.gov. The deadline for applications if June 23. Municipalities that aren’t ready to apply should consider applying for Engineering and Planning Grants, applications for which will be part of the Consolidated Funding Application that is expected to be published sometime in early June. Additional Water Quality Improvement Program grants for wastewater projects will also be available at that time. 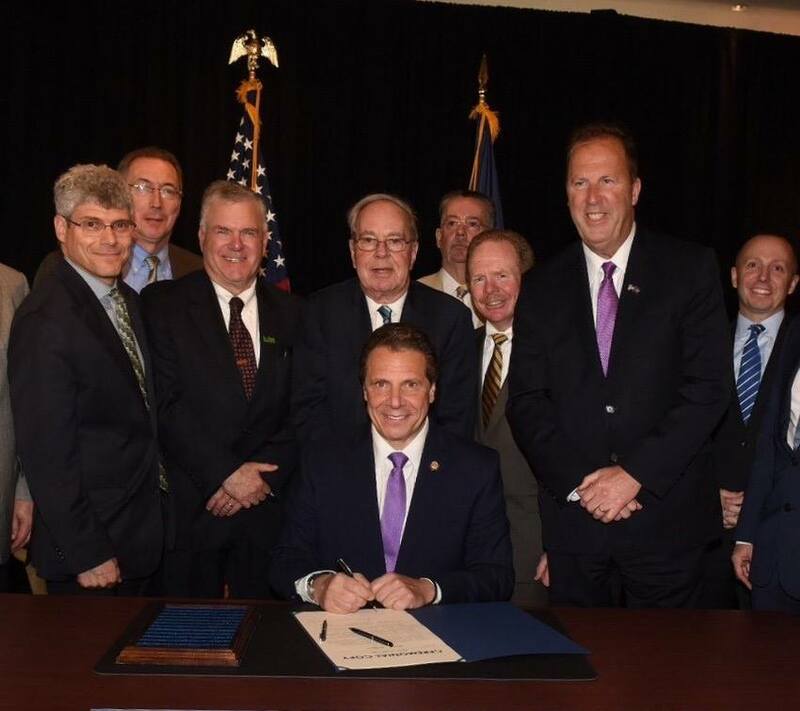 Riverkeeper and a coalition of organizations representing a broad array of interests lobbied successfully for increases to the state’s investment in water infrastructure, resulting in the landmark $2.5 billion Clean Water Infrastructure Act, which was signed into law Wednesday, April 26, by Gov. Andrew Cuomo. Riverkeeper Paul Gallay was on hand for the signing.